Orphan Road was a Seattle-based transit blog published from 2007-2012. Selected posts have been archived here. My fellow readers, I’m very exited to announce that Matt the Engineer and I are going to be joining the excellent blogging crew over at Seattle Transit Blog. I’ve always had great respect for the STB team. In fact, our blogs started at about the same time back in 2007 when the infamous “Roads and Transit” debate was raging. They’ve created a strong community and a solid voice for transit and land use issues in the Seattle area. I won’t shut down OR. Too much good stuff to let it slip to link rot. But I’ll probably be doing the bulk of my writing about transit at STB from now on. You’re welcome to follow me on Twitter, but you may be disappointed as few of my tweets are specifically about transit. Special thanks to all the contributors who have blogged here over the years, and to you all for reading. The ability for anyone in the world to self-publish and find a niche of readers is still, to me, the most magical thing about the internet. Okay then! In the interest of being solutions-oriented, let me offer something positive. Compared to, say, most of Europe, Seattle falls short when it comes to building dense, transit-oriented development. Compared to most of America, though, I’d say we’re doing pretty darn well. But I get it, it’s not good enough. We can do better. At the 30,000-foot level, Roger’s question is about power and influence: how does density win? How does it beat the other guys: the NIMBYs. Well, basically you either out-organize them or out-fundraise them. Liberals often think politics is a battle of ideas, when it’s usually a battle of interests. If you want your interests to beat out the other guys’ interests, you either need more money, better organization, or both. Having good ideas is important, but it’s a second-order importance. Ideas help you raise money and organize. But you still have to raise money and organize. Organizing in favor of change is always harder than organizing against it. People come out of the woodwork to oppose something, whether it’s to protest the Iraq War or changes to the Route 2, more often than they come out in favor of something new. But people do come out to celebrate the new, if they sense possibility and excitement around it. Witness the crazy crowds that surrounded the opening days of the Seattle Streetcar and Link. Positive, change-oriented agendas can have their own power, but they have to be specific, tangible, and actionable. Think Obama 2008: Change = Hope = Vote for This Dude. End of story. For density advocates, raising money is in some ways the easier task. There are plenty of organizations – from developers to construction firms to trade unions – that benefit from urban development. But that money comes with strings attached. These folks are often just as happy to build sprawl. More happy, in fact, since it often requires less onerous soil remediation and environmental permitting. Also, the amount of money that can be made from infill development is proportional to the restrictions on said developments. If it became easier to build in the city, then building in the city would by definition be less profitable. I think pro-density folks often think that developers are their friends. In truth, it’s often a marriage of convenience. I’m afraid there are no magic solutions here. “Politics is a long and slow boring of hard boards,” as Max Weber said. But I do think the broad outlines are right: a coalition needs to form — call it a political party or not — that has the power to change policy and can back it up with money and votes. It needs to be difficult for a politician to defy this coalition. From time to time, the coalition will do things that individual members disagree with, and these members need to find a way to support the coalition and not let the perfect be the enemy of the good. This is often a very difficult task for some, who may immediately defect if the percentage of funding for their favorite pet transportation mode isn’t exactly what they wanted. Finally, the only way for such a coalition to survive this inevitable infighting is to have a common creed, a similar worldview. This worldview needs to be broad enough to be inclusive, but specific enough to actually mean something. Part of it is about climate change, but I’m pretty sure if we converted our entire auto fleet to zero emissions overnight, many of us would still be urbanists. Part of it is about the economic benefits of urbanization. Part of it is about limiting sprawl. And part of it’s purely romantic. It’s decidedly not about mode choice or fantasy maps (sadly!). One last thing, as I approach the 700-word mark. I think the pieces of this coalition already exist, and great organizations like Sightline and Transportation Choices are absolutely leaders in it. It’s really a matter of finding the common thread and pulling it all together. 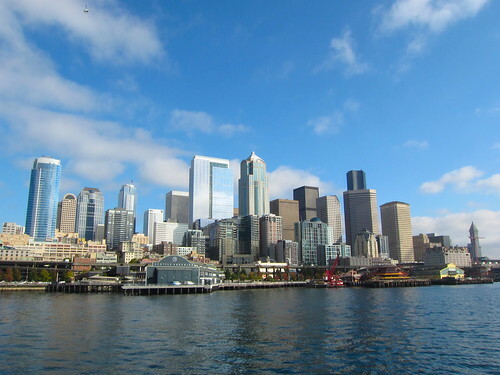 Is Seattle’s political process the root cause of NIMBYism? Roger Valdez seems to think it might be. He really likes Matt Yglesias’ post about a David Schleicher paper. Schleicher argues that the absence of political parties in largely Democratic cities results in lower density: because city council members don’t have a party to be loyal to, they never have to take uncomfortable votes that would result in the greater good even at some personal cost to their re-election. The result is that NIMBYism rules. Seattle is an interesting case, since we’ve actually had two competing, but informal, movements in Greater Seattle and Lesser Seattle since at least the 1960s. You could see these two interests morphing into two distinct parties, if there was some reward for doing so. 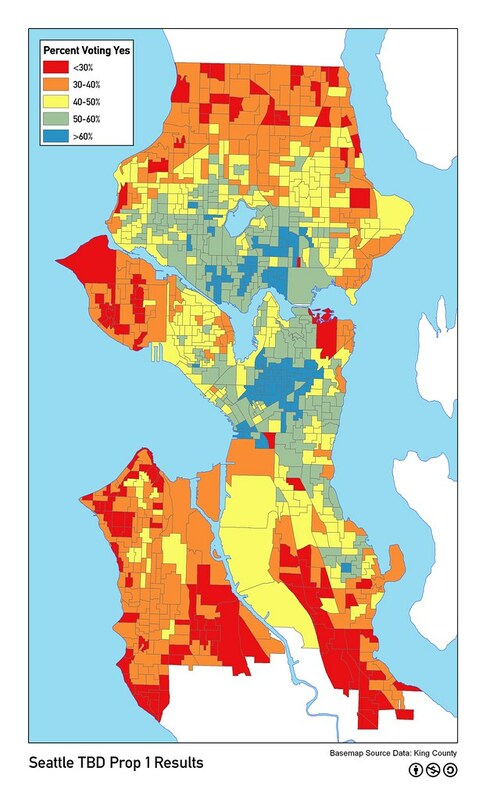 Trouble is, Seattle doesn’t have districts at the city council level. If you read Schleicher’s paper, that really is the thrust of his argument: district-centered provincialism is the root cause of NIMBYism. Here in Seattle we have a different dichotomy, one you might call “neighborhoods” vs. “downtown” (and I use quotes because I’m using the terms quite loosely). The “neighborhoods” are where the people live, where NIMBYism is more prevalent, and where the votes are. “Downtown” is where you get the reelection money needed to run a city-wide campaign. Seattle’s council members aren’t torn between constituents and political party, they’re torn between constituents and their donors. Ironically, the easiest way to reduce the influence of money in our council elections is to go back to the district system, which might actually result in more NIMBYism if Schleicher’s theory is correct. 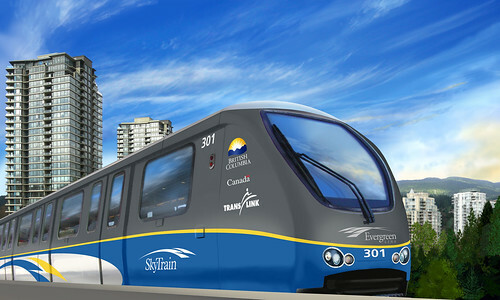 I neglected to mention a fifth possibility (related to the first): automated trains like the ones in SeaTac Airport or Vancouver’s SkyTrain. This is a perfect Baumol-style productivity upgrade for a transit system to keep pace with rising living costs. Since it’s a bus I ride regularly, I headed over to the Madrona Community Council on Tuesday to listen to Metro come talk about the proposed changes to the Route 2. It was an impressive turnout of residents, overwhelmingly in opposition. Hats off to the folks opposed to the changes who organized en masse. Over 50 people crowded into the Madrona field house to give Metro’s planners an earful about why they thought the proposed change was the worst idea since New Coke. Explaining why a change is better than the status quo is surprisingly difficult. Metro’s planners, I think, struggled to articulate the benefits of the proposed change. Telling people that their route will get shortened to benefit the overall system doesn’t really get you very far. User feedback is important, but it isn’t the be-all and end-all. People make contradictory demands. They want the bus to be more reliable, but they don’t seem willing to make the trade-offs to make it so. People don’t understand the difference between SDOT and Metro. This is obvious and long-running, but it’s especially problematic when Metro moves a bus to Madison Street under the assumption that Seattle’s Transit Master Plan calls for improving bus service on Madison, but people don’t make the connection because the changes aren’t made in sync. You have to be paying very close attention. 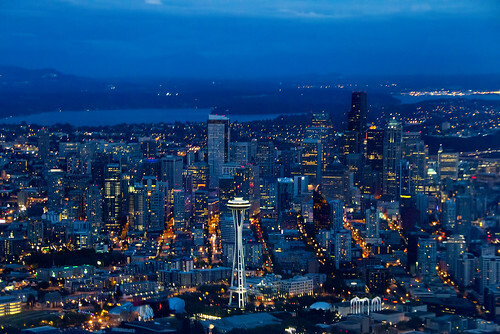 The suburban-ness of Seattle exacerbates the issue. Seattleites expect frequent bus service in relatively low-density neighborhoods, and older riders need to get on the bus just to get groceries. The QFC on Broadway seemed to be the go-to. Shockingly, no one in the meeting shops at the nearby Grocery Outlet on MLK and Union. One obvious solution would be to put a grocery store in Madrona proper, maybe with some apartments above it. Apartments would mean more people, and thus justify more transit service. But I’m pretty sure you’d get ridden out of that meeting on a rail (pun intended) if you proposed anything like that. The residents of Madrona are quite scared of downtown, despite living just 2 miles from it. The idea of transferring to get to Queen Anne was a terrifying prospect, especially at night. I wonder how much of that is based on downtown today, versus how they might remember it from 10-20 years ago. For many riders, speed is not an issue. The slow “milk run” routes are not really a problem for riders who aren’t in a rush to get anywhere. How do you balance the needs of a transit-dependent person who needs to go to the grocery store once or twice a week with a downtown worker who rides 10 times a week? As for me, I can see the benefits of the changes detailed by Bruce @ STB and I support them overall, even though it’ll mean I have to walk an extra two blocks to and from work. But I still feel like we’re doing something wrong by pouring all our bus service through a few East-West corridors (like Madison) rather than amping up the grid across the city with more transit-only lanes. But maybe that’s wishful thinking. I’d encourage everyone to take the survey and tell Metro what you think. They’re listening. I’ve just returned from an Indonesian vacation. My trip started and ended in Jakarta, and I had a chance to try out their transit system. I love big cities. I’ve visited many of them, and I had yet to find one I didn’t have some love for. I hated Jakarta. Jakarta is a city of 10 million people, with another 18 million in the metro area. It’s an old city, but one that has grown very quickly in the past six decades. Its transit system consists of buses, “bemos” (small private buses), taxis, tuk-tuks, and Bus Rapid Transit (BRT). First, a word about Jakarta in general. In Jakarta, the car is king. As a pedestrian you will find yourself walking on narrow (~3′, sometimes less), poorly maintained sidewalks. These sidewalks have a dual function of being mostly-closed sewers, and the sidewalk forms the cover of these sewers. Every curb cut the sidewalk abruptly drops half a foot, and rises again at the other end of the curb cut. Many times per block you’ll come across a concrete manhole, which is often broken or missing. As cars are king, crossing the street is a very dangerous activity – cars will not stop for you, even if you find one of the few crosswalks. They may slow down slightly or swerve if you’re directly in front of them, but it’s best wait for an opening and run across the street. Of course, there are far too many cars on the roads and a trip 1/3 of the way across town to dinner took over an hour. The trip back also took over an hour. If you need to go anywhere, bring a good book. Now BRT. Unlike Seattle’s new BRT system, Jakarta has real BRT – tall buses with multiple doors and few seats that dock at pre-paid fare stations, ride in exclusive lanes (often with concrete barriers, usually in the center of the road), have signal priority, and even have two operators – one to drive the bus and one to operate the doors. BRT is often considered a cheap way of doing mass transit. Whenever a light or heavy rail system appears on a ballot, expect to hear a call from the tax-averse to put in BRT instead. They will tell you it’s just as good as rail, but cheaper. They are wrong. 1. Being a car city, every road in Jakarta that can fit more than a lane or two of cars has become a highway. BRT added exclusive lanes in the middle of some of these highways, complete with concrete barriers to keep the cars out. This has also had the effect of taking pedestrian crossings from difficult to impossible. 2. Since the stations are in the center of the road, it is difficult as a pedestrian to enter and leave. Some stations have pedestrian bridges, but these add two sets of stairs to your walk. Others just have crosswalks. This adds time and danger to your trip. 3. In order to keep buses moving fast, the stations are never really where they need to be. They’re limited to where the big roads are, which aren’t always close to the interesting sights. 4. They are all over capacity. This might not be true for a city of Seattle’s size. But a city of 10M people needs real mass transit. The stations were completely packed when I visited – in the late morning of a weekday. The buses came every few seconds, but the ones going anywhere interesting were like sardine cans. At one point our bus was so full that all of the handholds were taken and people relied on the squeezing force of their neighbors to remain upright. 5. Signal priority isn’t enough. With buses being so frequent, at some point the signals need to cycle the cars through and make the buses wait. This means in 90 degree weather with no air conditioning and far-beyond-capacity passengers, we waited at many intersections for several minutes, queued up behind other buses. We certainly made it through the intersections faster than the cars, but grade separation would have made our trip much faster. Our 5 mile, one transfer trip from our hotel to the long-distance bus station took well over an hour. It was uncomfortable, slow, and difficult. Although our hotel was in a tourist area we needed to take a taxi to get to the bus station. Simalarly sized Delhi was just as much a 3rd world city in 1998 when they built their subway system. Now it’s easy to get around there and tickets start at $0.15. Jakarta backed the wrong technology. The intersection at 23rd & Union has a storied past, but also a troubled one. 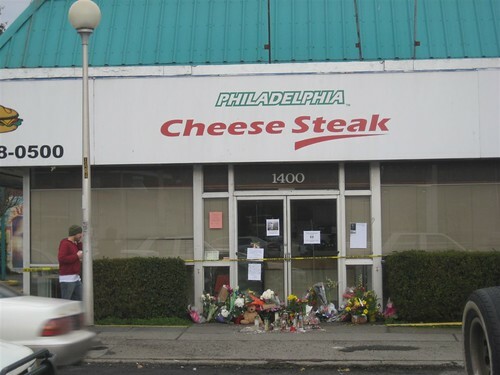 In 2008, after Degene Barecha was killed while working at the Philly Cheese Steak restaurant on the corner, Robert Jamieson wrote a piece in the Seattle P-I recounting the corner’s history in which he referred to it as “Seattle’s intersection of woe.” Two years ago, Seattle PD made a high-profile effort to clear the drug dealers from the corner. More recently, the corner’s neighborhood outreach center was vandalized. Given all of that, you’d think the City of Seattle would be bending over backwards to revitalize the intersection, on the theory that more “eyes on the street” make for a safer neighborhood. They had hoped to use the drive-through window when they started plans for the bakery, but the old permits had lapsed and new city rules designate the corner as a pedestrian area. After a lengthy re-permitting process, which delayed the bakery’s opening, Jane and Ken found out that drive-through windows are no longer allowed. So they had to go forward without it. It’s a shame that the Seattle PD couldn’t convince the Seattle DPD that the benefits of having a business in that space far, far outweighed the zoning laws that prevented a drive-through restaurant from operating on the corner. I’m all for limiting car-dependent development, but when you have tiny green shoots popping up on a corner like this, you need to dump as much fertilizer on them as you can find, instead of letting them whither and die. Anything more complex than that, and initiatives break down. Because citizens, unlike legislators, don’t horse trade. Legislators love “Christmas Tree bills,” the kind that can be loaded up with amendments in exchange for enough votes to guarantee passage. Legislators scratch each others’ backs. Citizens don’t. The backers of last year’s income tax bill, I-1098, added a provision that exempted small business owners from B&O tax. This was good policy, and shielded the bill from some intellectual criticism, but did it earn them a single extra vote? Prop. 1 attempted to bring together different constituencies — drivers, walkers, bikers, transit riders — into a coalition, thinking that together they would make for a majority. But citizens don’t think like legislators, or even interest groups. Instead, they fixate on the one part they don’t like, and then scuttle the whole thing because of it. I’m not sure what could have been done differently. Separating out the various pieces might have worked. A $20 car tab for faster buses? Maybe. $40 for road repairs? probably. Focusing on one big project and not a bunch of little ones? Almost certainly. But this is all conjecture. Policy-wise, Prop. 1 got it exactly right. But an initiative may not have been the best venue for such a policy.